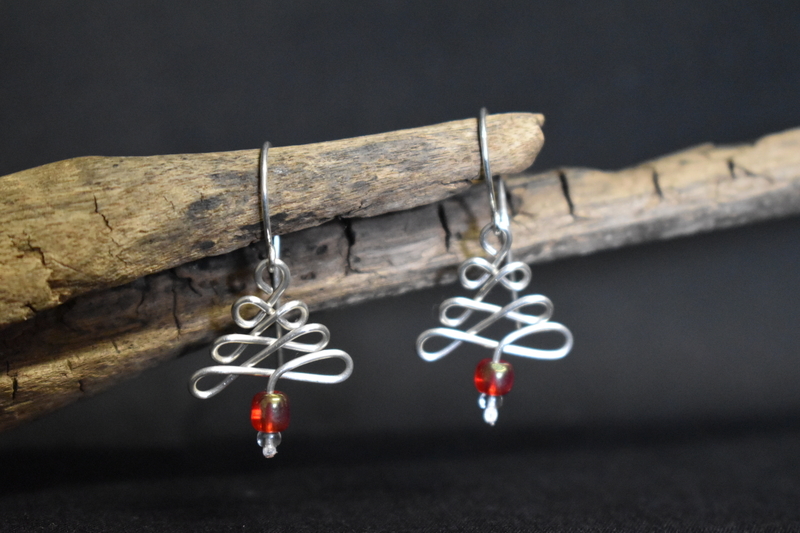 These gorgeous Christmas tree styled earrings are designed and hand crafted by young women who have begun a new and safe life having escaped the horrors of human trafficking. The design is based on the traditional Mongolian Eternal Knot. They have a 2 cm or 3 cm drop, silver plated wire and decorative glass beads. These earrings will add a glamorous and delicate festive touch to whatever you are wearing.